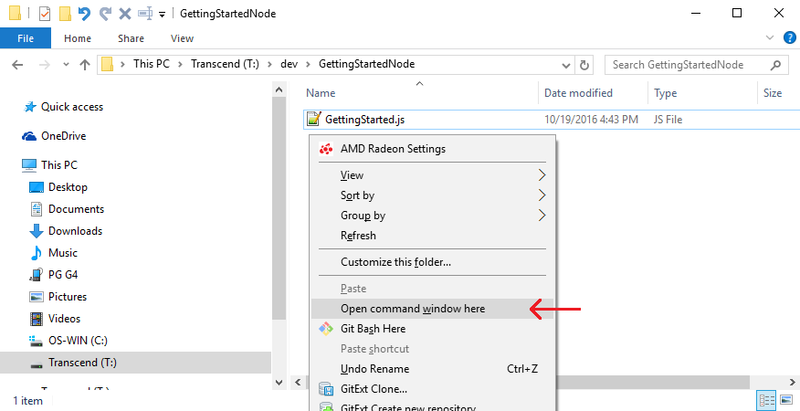 This guide will help you make your first API call in Node. This guide will provide the minimum steps to make your first PlayFab API call, without any GUI or on-screen feedback. Confirmation will be done with the Console log. // This is a utility function we haven't put into the core SDK yet. Feel free to use it. Congratulations, you made your first successful API call! Every PlayFab developer creates a title in Game Manager. When you publish your game, you must code that titleId into your game. This lets the client know how to access the correct data within PlayFab. For most users, just consider it a mandatory step that makes PlayFab work. This result contains some basic information about the player, but for most users, login is simply a mandatory step before calling other APIs. PlayFabSettings.TitleId is not set. If you forget to set titleId to your title, then nothing will work. Request parameters. If you have not provided the correct or required information for a particular API call, then it will fail. See error.errorMessage, error.errorDetails, or error.GenerateErrorReport() for more info. Device connectivity issue. Cell-phones lose/regain connectivity constantly, and so any API call at any time can fail randomly, and then work immediately after. Going into a tunnel can disconnect you completely. PlayFab server issue. As with all software, there can be issues. See our release notes for updates. The internet is not 100% reliable. Sometimes the message is corrupted or fails to reach the PlayFab server.